Located on the National Mall within view of the US Capitol and the Washington Monument, the Hirshhorn Museum and Sculpture Garden welcomes more than 750,000 visitors each year, making it one of the most popular art museums in the country. Since the Hirshhorn opened its doors in 1974, it has become a gathering place for the creative community and a vital force in bringing international modern and contemporary art to the nation’s capital. 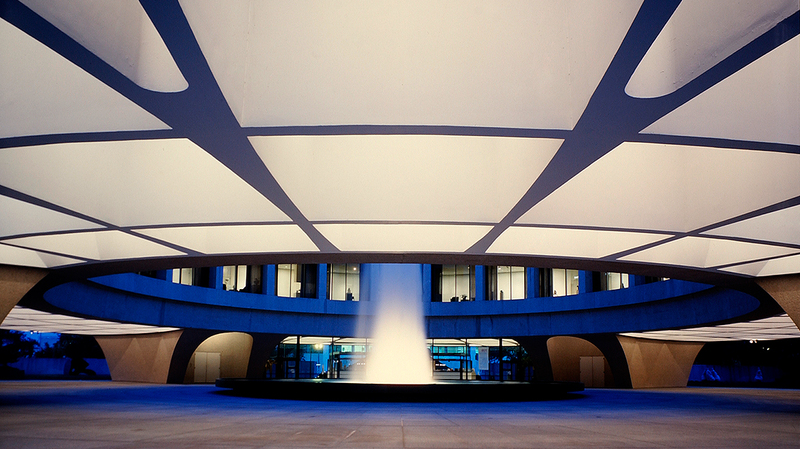 A Washington, DC, landmark, the Hirshhorn’s distinctive circular building is the perfect setting for important social events: Host a reception on the Plaza near our lighted fountain or in the Sculpture Garden. Stroll through our exhibition galleries or invite your guests to view the spectacular Washington skyline from our third-level Lerner Room. Authorized events at the Hirshhorn Museum include private corporate receptions and business meetings, as well as personal social events for adults, such as wedding receptions, memorials, anniversary celebrations, and birthday parties. We regret that we are unable to accommodate youth events, including but not limited to proms, dances, bar/bat mitzvahs, debuts, cotillions, quinceañeras, or birthday parties. All events at the Hirshhorn must be planned in conjunction with the Museum’s special events manager. Please contact us by email to inquire about having your special event at the Hirshhorn. Our Special Events team will be happy to answer your questions, check availability of dates, and suggest an appropriate contribution.